* BOSS SKILLS: Disables all dungeon boss's abilities. * TELEPORT ROPES: Instead of climbing up ropes, you teleport up ropes. * FAST ENCHANT: You enchant items faster. * FAST MYSTERY BOX: You open "Mystery boxes" faster. 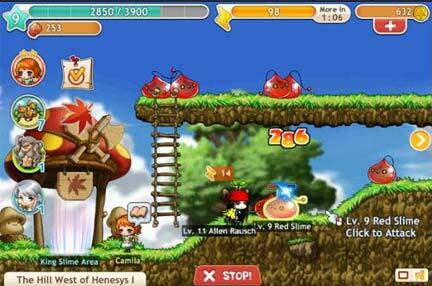 * FAST TRAIN: You train your "Maple Heroes" faster. * UNLIMITED RANGE: Attack monsters from anywhere. * AOE RADIUS: "Area of Effect" skills have unlimited range. * MONSTERS NEVER WALK: Monsters never walk. * INSTANT HARVEST: Instantly harvest. * SPEED: You walk faster. * TAMED MONSTER: "Tamed Monsters" appear larger. * AUTO PICKUP: Automatically loots everything, "Magic Stones" and gold too but they don't appear to. * MAX DAMAGE: You constantly do the highest damage in your damage range. * RE-SPAWN: Monsters re-spawn faster. * GOD MODE: You never get hit. * MONSTER VAC: All monsters re-spawn together. * Some hacks won't work if you click your game before executing the auto assemble. * For the re-spawn hack, its best if you use it on high level mobs, low level mobs re-spawn faster by just leaving and re-entering the map.